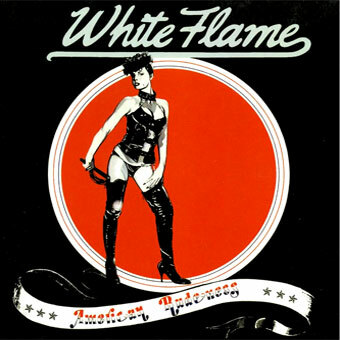 WHITE FLAME was formed in Connecticut by high-school friends Mark St. John and Rich Ricciuti in the early 1970s. American Rudeness, their only album was recorded between 1977 and 1978 in New Haven and self-released on the band’s own label Rudeness Records. It was in the end a private pressing that never got any distribution outside the band’s state, preventing them from having any success or recognition. Their music is a killer blend of Detroit proto-punk, heroin fueled rock “Berlin style,” with a dash of weirdness (they were huge fans of Frank Zappa). On their title track you can even see similarities to what Wayne County was doing in NYC, or to what British bands like The Count Bishops were up to. It has the wicked touch ala Kim Fowley, and you can feel occasional influences from The Stooges (those wailin’ guitars), MC5 (high energy guitar riffs), and The Velvet Underground (especially on “Blame”). Almost 30 years after its first pressing Munster unearths, for you, this hidden treasure.